Therapeutic Nutrition course online. 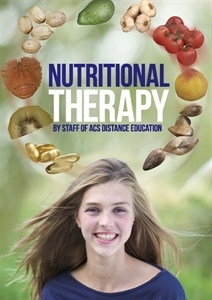 Distance Learning course - Understand the importance of nutrition and how to restore health. Therapeutic nutrition is the provision of nutrients to maintain and/ or restore optimal nutrition and health. Therapeutic diets may be required as therapy for a disease e.g. coeliac disease or to treat malnutrition arising from low energy and nutrient intakes or due to increased energy and nutrient needs. Therapeutic Nutrition is also included as an elective module in our Advanced Diploma in Nutritional Counselling, which has been endorsed by TQUK - An Ofqual Approved Awarding Organisation. Explain different types of food allergy and intolerance and provide information on diagnosis, clinical symptoms and appropriate dietary modifications. Explain what diabetes is and describe appropriate dietary adjustments that for people with Diabetes. Evaluate the dietary requirements of a client or patient who has a medical condition; giving appropriate consideration to that condition, and to identify responsible options for diet planning in response to the situation. Juliette has over 10 years experience in teaching and private tutoring. As an undergraduate, she contributed to published research on the behaviour of an endangered bat species, though her main areas of interest and specialisation are genetics and cellular biology. After 7 months in the rainforests & reefs of Central America, Juliette began her teaching career at prestigious private school, Brighton College. She soon returned to Central America, heading up a field-trip for A-level students. She has been a private tutor & exam coach to a range of students with very diverse backgrounds, aptitudes and expectations. More recently, Juliette has enjoyed working with adults with learning difficulties and enormous barriers to education. Juliette currently splits her time between England and Bulgaria, where she works as a teacher. 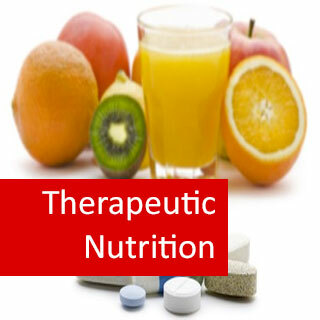 Therapeutic nutrition is the provision of nutrients to maintain and/ or restore optimal nutrition and health. Therapeutic diets may be required as therapy for a disease for example coeliac disease; to treat malnutrition arising from low energy and nutrient intakes; or due to increased energy and nutrient needs. A therapeutic diet may be provided orally (through eating and drinking), enterally (through a tube directly into the gastrointestinal tract or parenterally through the veins of the circulatory system. Oral nutrition is interpreted as food or other nutrients taken by mouth. Oral nutrition support is the first step for who are suffering from weight loss or are unable to eat and drink enough to meet their energy and nutrient requirements. Oral nutrition support is provided for people who are able to swallow safely and have a functioning digestive system. The overall aim of oral nutrition support is to provide a balanced diet with enough protein, fluid and macronutrients to meet the patient’s nutritional needs and help improve clinical outcomes. Oral nutrition support must respond to the specific needs of an individual. For example, people suffering from nausea and vomiting, swallowing difficulties, weight loss or reduced appetite will each require different forms of oral nutrition support. Nausea and vomiting are symptoms of an underlying disease and not a specific illness. Nausea is the sensation that the stomach wants to empty itself, while vomiting (also called emesis), is the act of forcible emptying of the stomach. There are many causes of nausea and vomiting. For example, the symptoms may result from medications and medical treatments e.g. chemotherapy, pregnancy, mechanical obstruction of the bowel and acute gastritis which can include food poisoning, gastric flu and infections. It is important that people are aware of what is causing their nausea and vomiting and it is important for them to receive medical advice especially if symptoms persist or are associated with pain, fever or vomiting blood. Where patients have experienced vomiting it is important to give the stomach time to rest while still avoiding dehydration. Clear fluids should be attempted for the first 24 hours of an illness and then the diet should be advanced as tolerated. Clear fluids are easy for the stomach to absorb and include water, sports drinks, jelly, ice lollys and clear soups. Eating small meals and snacks throughout the day and avoiding eating large meals. Not eating fried foods, spicy foods or foods with strong odors. Choosing plain foods such as toast, crackers, salty snacks and ginger flavored drinks and foods. Prescription medications can also help control the nausea or vomiting. Chewing and swallowing problems (also called dysphagia) can result from strokes, cerebral palsy, Parkinson's disease, muscular dystrophy, multiple sclerosis and dementia. The cause of swallowing difficulties must always be investigated by a doctor. If food and liquid cannot be swallowed safely it may be aspirated or drawn into the lungs. As the airways become blocked, the person will begin to choke and this choking fit may be fatal for frail, elderly people especially. The aspiration of food and fluid into the lungs can also cause aspiration pneumonia. Once the cause of swallowing difficulties has been investigated, people may be advised to follow a specific diet. Examples include a minced diet where all food is minced for easier chewing or swallowing or a pureed diet, where a blender or food processor to puree foods to the consistency of infant food, while soft and smooth foods, such as applesauce, certain puddings and eggs can be served in their normal form. Thickened fluids may be recommended as a remedy to chewing and swallowing problems. Artificial food thickeners are available from the pharmacy while natural thickeners include tapioca, flour and instant potato flakes. Unintentional weight loss is a decrease in body weight that is not voluntary. In other words, the person did not try to loss the weight by dieting or exercising. 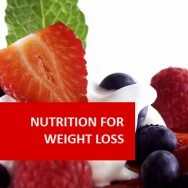 There are many causes of unintentional weight loss. Examples include, cancer, depression, drugs such as chemotherapy drugs, Eating disorders, loss of appetite and malnutrition. Painful mouth ulcers or a loss of teeth may also prevent someone from eating normally and result in weight loss in that person. Weight loss and poor oral intake can have a serious impact on a person’s clinical outcome following a surgical procedure, thus resulting in reduced immune function, poor wound healing and potentially longer hospital stays. Try to eat small and frequent meals and snacks, for example, every 2 hours. Suitable snacks include cheese and crackers, sandwiches, savoury biscuits, ready made desserts such as yoghurt, rice pudding and crème caramel. Fortify foods e.g. with milk powder and foods high in fats and sugars. Artificial nutrition includes Enteral nutrition (tube feeding), or parenteral nutrition (nutrients delivered into the body into a vein in the arm or chest). Artificial nutrition becomes necessary when a person loses the ability to receive, desire, or require nutrition or hydration by natural means. Enteral nutrition is used where a patient’s digestive system is function well, however they may be unable to eat or can only eat food in quantities that are not enough to sustain them. For short term uses, a nasogastric tube is inserted down the nose, throat and into the stomach. For longer term enteral feeding (and for patients who cannot or will not tolerate a nasogastric tube), a tube is inserted into the stomach or small intestine through an opening known as a stoma (Figure 1). The stoma is made on the abdomen. You are what you eat and this has never been more important than in today’s food diverse society. This ebook provides an introduction to the fundamentals of nutrition and covers over thirty different nutrition related illnesses. 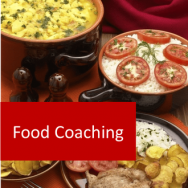 Nutritional Therapy eBook course online. It's amazing how little people know about their bodies and yet still expect them to function in an energetic and efficient manner. We eat all sorts of rubbish, but you wouldn't put the wrong fuel in your car and still expect it to drive smoothly. 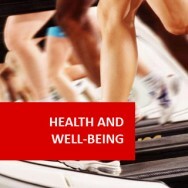 This e-book will give you a great overview of the human nutrition industry in all its facets. Course Duration and Deadlines 100 hours approx. Course hours given are a guide only. You will be encouraged to work at your own pace to learn as much as you can, with no assignment deadlines or end date by which you must complete your course by. You are in control!